We’ve made it! Opening Day is finally here. 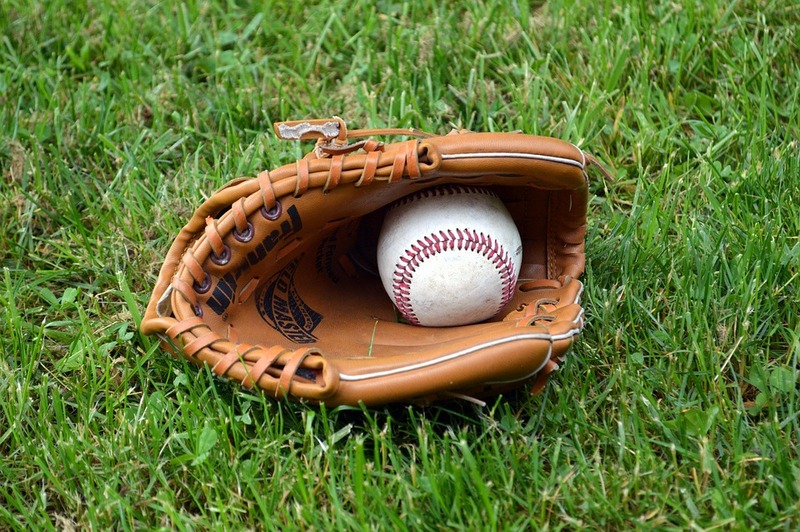 Unfortunately, MLB thought it was necessary to schedule a number of games between 3:00 p.m. ET and 4:30 p.m. ET and our Yankees are right smack in the middle with a 3:37 p.m. start time—Thanks, Toronto. But let’s not allow the funky scheduling to get us down, real baseball is upon us, at last! So, with that in mind and because my brain is all over the place this afternoon, I’m going to fire off some random thought before the game. Grab a snack and/or a drink and away we go! The offseason seemed like the longest one ever but spring training felt like it zoomed by. At least it did to me. The Yankees have Giancarlo Stanton. I keep having to remind myself because I can’t believe it. I feel bad for Greg Bird. The guy just wants to play and his right foot is being a pill. Hopefully, this latest surgery will be his last. Cross every body part you can including your eyes. 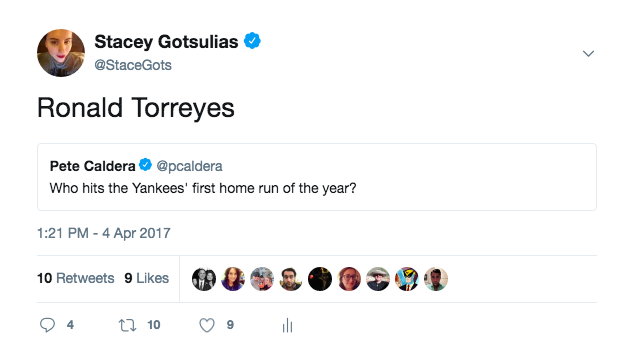 Last year, I predicted that Ronald Torreyes was going to hit the first Yankee home run of 2017. I was recording a podcast when it happened so I couldn’t react on Twitter but it was pretty funny. I predicted Didi this season. Watch it be Brandon Dury. Speaking of Drury, I think he was a fine pickup. Some people are really down on it but for now, he’ll do. Imagine having to face Aaron Judge, Giancarlo Stanton, and Gary Sanchez? The Yankees have the longest road Opening Day losing streak. The last time they won an opener on the road was in 2006 at Oakland. That’s a really long time ago. No one is left from that team but that was another squad with a pretty stacked lineup. Remember 2006? When it seemed like everyone went down with a wrist injury? Matsui was gone for most of the season. Then they lost to Detroit in the Division Series. And Joe Torre batted A-Rod eighth. Back to 2018 and the promise of a new season. The feeling of euphoria that comes with the knowledge that this team could do something special. Of course, the flip side is everything that could go wrong and ruin it but let’s not think of that. Let’s picture 495 foot Judge home runs instead. And Stanton hitting ball 500 feet. Maybe Sanchez can get in on the action. Let’s get excited about Tyler Wade. He had a nice spring. Let’s hope some of it carries over into the regular season. Oh, by the way, the Rays picked up our old friend Rob Refsnyder and he’s batting clean up. Evan Longoria is a Giant. That’s another thing I’m not used to right now. Or Andrew McCutchen also being a Giant. Or Giancarlo Stanton being a Yankee. There are still so many unsigned players. It’s ludicrous. Well, not that bad. Most of them are still well off and won’t starve. But it has to be frustrating to sit around and watch as the baseball season starts and you’re without a job. Frustrating and scary for some of them. Anyway, let’s end this on a high note. Happy Opening Day, everyone! Let’s go Yankees! Okay, so we know Stanton won’t hit 2 hr’s in EVERY game, so what are we predicting? 150 total?